Kidney stones have become a common problem in many parts of India. The signs & symptoms of kidney stones depend on the size of the stone. Ayurveda treatment of kidney stones is increasing nowadays. Ayurvedic treatment recommends avoidance of red chilli pepper & spices. Kidney stones have become a common problem in many parts of India and everybody (adults and children) is at a risk of developing kidney stones. The urine has dissolved substances which can precipitate and develop into stones, but these usually do not crystallize to form stones. In most people even if stones are formed they are usually small (<5mm) and pass in the urine without any symptoms. 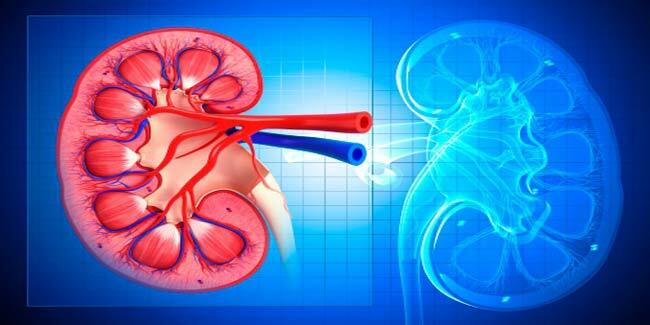 The different kinds of stones that can form in the kidney include calcium oxalate, cysteine stone, struvite stone (magnesium, ammonium and phosphate), calcium phosphate stone, and uric acid stone. But the most commonly formed stone in the kidney are made of calcium oxalate. The signs and symptoms of kidney stones depend on the size of the stone.Small kidney stones (<5mm) pass in the urine without causing pain or any other symptom. Bigger stones (>6mm) tend to obstruct the flow of urine and cause symptoms. When obstruction to the flow of urine occurs, it causes agonising pain in the lower back. The pain may extend to the groin area (described as ‘loin to groin’ radiation of pain).Other symptoms which may develop include nausea, vomiting, blood in the urine (hematuria), restlessness and fever (in case if infection is present). The popularity of ayurveda for treatment of kidney stones is increasing nowadays as more and more people prefer natural treatment to avoid the side effects associated with prescription drugs and medicines. Some of the ayurvedic remedies that are useful for the treatment kidney stones are listed below. Gokshura Kada: 15 ml of this liquid, mixed with equal amount of water, taken three times a day is helpful for urination and in relieving the burning urination sensations which are common complaints of people with kidney stones. Another ayurvedic medicine, chander prabha vati is useful for the treatment of the burning sensation while urination. Asthma is well documented in the ancient Ayurvedic texts. In Sanskrit, asthma is known as svasa roga. Svasa means “breathing in and out, ” and roga means “ disease.” According to the ancient Ayurvedic text, the Charak Samhita, there are five types of asthma: maha svasa, urdhva svasa, chinna svasa, tamaka svasa and ksudra svasa. Among these five types first three are not curable. 'Tamak-shwas is controllable and is difficult to cure. The last one is curable.